Upon graduating from public schools and enter into the high school environment, young adults seem to automatically become far more independent. They are not expecting as much input from their parents when it comes to their educational experiences. This can be difficult for the parents who have been very pro-active in the educational system that their kids are attending. While the kids may not welcome any interaction with their high school on behalf of the parents, it is still important that the parents do so. High Schools can be made better by the parents in the following ways…. Every parent has the right to know what is going on in the school system that their child is participating in, and this includes High School. Often many of these schools hold an open house for the parents and first year students. This is the ideal time for parents to attend with the kids. While the young ones are being orientated in their new school setting, the parents can get to learn about some of the policies of the school. 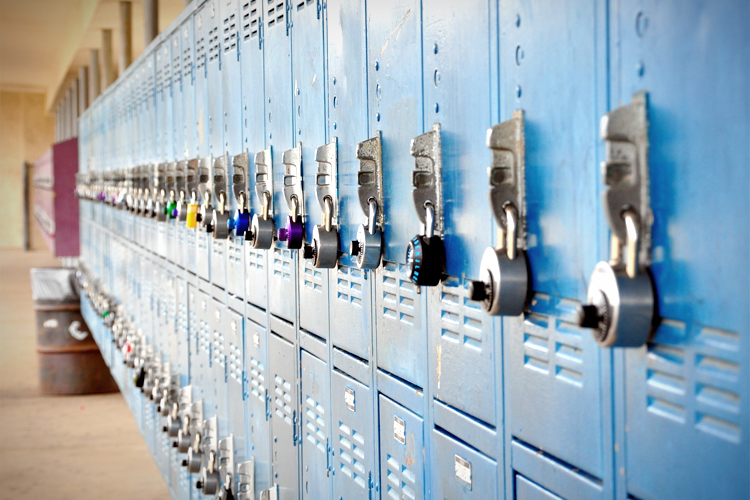 Find out if the high school that your young one is attending has regular parent meetings. Many of them will do this so they can encourage parents to be involved with the school. This is important for the staff of the school that has to deal with the school boards where they need the support of the parents of their students. A lot of schools have had great problems with bullying. This has encouraged them to implement bullying policies. It is up to the parents to know what these are. If there are none in place then parents can collectively encourage the school to implement them. These few, seemingly simple steps go a long way in helping the high schools to be a better place for the young students. 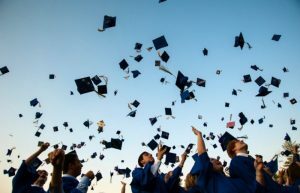 Leaving public school and entering into high school is a big step for most students. They now have to be ready to take on a lot of responsibility that they may not be used to. In some ways, they are held more accountable for their actions in this new school setting. In the beginning especially, a lot of students face some problems during this transition to the next level in their education. One big difference that many students find is that they are now responsible for choosing some of their courses. While some are mandatory they are also given optional choices to make up their learning curriculum. This is a new experience and one that can create some problems for them. The tendency may be to choose ones that they think are going to be easy. By the same token they want courses that are going to help them with their future. This is one of the first big responsibilities that the young student now faces. Students in the high school setting now have the responsibility of adapting to a different type of school setting. The class schedules are quite a bit different than what they may have been used to in their public school. Instead of spending the entire day in one classroom with one teacher, they are now moving about to different classrooms with different teachers. This is a big adjustment and one that some students have difficulties with. It takes some time for them to get used to this. Peer pressure rises to a whole new level in the high school setting. New first year students are now intermingling with third year students. It can be difficult for the new students to fit in and feel like they belong. This all depends on the school itself and what type of policies it has in place. There are some young people who just don’t have the desire to go through high school then onto to College and University. The classroom isn’t where everyone thrives. For some kids, a different type of employment geared more towards what their interests are is sought. Their goal is to find work in a field that they will enjoy. Most often this involves dealing with the public. 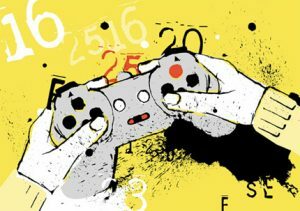 While there are tons of different types of employment that will suit their needs many like to consider the gaming industry, but this sometimes raises the question as to whether this is a good choice from a financial point of view. There is a lot to be said about the gaming industry. It definitely is a thriving industry and one that has shown stability in that it has been around for many years. There are also many different specialty areas that can be entered into. One very popular casino even that has really taken off in the last few years is roulette online, and this is because it’s an exciting game and one that can be easily played and accessed. For those students who have an interest in this particular gaming event they can learn to become roulette dealers. This does require them to complete their high school level of education or GED. Then additional training is usually offered by the Casino resort with the job opening. Now with live casinos being available online its opening even more job opportunities for the Roulette dealers. This is just one example of the type of job opportunities that are available in the gambling industry. There is the opportunity for those that are interested in this to take another avenue of employment, which is the development of software that is used for the online Casinos. The High School years are supposed to be some of the best years of the young person’s life. In some cases, however, they turn out to be some of the worst experiences that they may have in life. This is because many students are subjected to bullying. While this takes place in all levels of education the high school years seem to be the most difficult to cope with. One of the reasons for this difficulty coping is that high school students tend to keep their problems to themselves. They don’t know where to turn to for help, simply because they believe that nothing can be done about bullying. Parents and school officials alike have to be pro-active in taking as many steps as possible to curb the high school bullying. There are a few but very important steps they can take to achieve this. It is highly important for parents to keep the lines of communication open with their children. When a young person is complaining about being bullied it has to be taken seriously no matter how trivial it may sound. These young people have to attend the school environment about 8 hours a day 5 days a week. If every day is full of the potential dread of having to deal with bullying then it is placing the young student in a very detrimental situation. Parents must act in the best and safest interest of their child by being mindful and patient with these situations. It has to be discussed with the young person as to be a good course of action, as they are the ones that are going to take the brunt of it. Parents should ensure that the High School that their young person is going to be attending has a bullying policy in place. They should also ensure that the policy is being enacted upon when necessary. 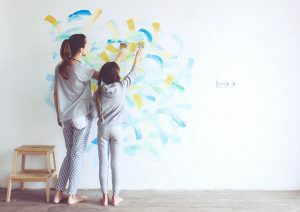 Working with the youngsters who are the victims of bullying is one of the most important types of interaction a parent can have with their young students. A lot of High Schools have a uniform policy and for many of the kids that attend these schools they find that there are some advantages and disadvantages to this. One thing that many of the kids like is that they don’t feel as though they have to compete with the other kids when it comes to their clothing. This takes a lot of peer pressure off of them. Some parents like the use of school uniforms because they find it more affordable to invest in uniforms rather than having to buy an entire school wardrobe of attire for their young ones who grow and whose taste changes regularly. 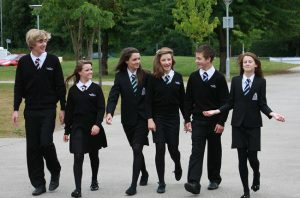 Many of the kids that are attending a well known high school take pride in wearing the school uniform. It brings a sense of recognition for them. The School faculty finds that the uniform wearing creates a lot less hassles for them. They don’t always have to be approaching students who they feel are not dressed appropriately for the classroom setting. Students in general feel a sense of unity with the other students as they are all dressed in the same attire and are not being judged by what they are wearing. One of the added benefits is there is no hassles with getting ready for school in the mornings. No time is wasted on what has to be chosen for the day’s wear. There are some young students that feel that the school uniforms adversely affects their overall appearance. This is sometimes true for the young ladies that are dealing with excess weight. If part of their uniform happens to be a pleated skirt they feel this accentuates their extra weight. This can contribute to a low self esteem. Students who like to express themselves with the attire they wear don’t get the opportunity to do so when they are required to wear a school uniform. While there seems to be more advantages to disadvantages, the cons against the uniform wearing are quite important. Parents have a big responsibility when in comes to overseeing their children’s education. Once they are ready to enter High School, the kids want to have a say in which school they will attend. This is the time when they are starting to set their goals towards their future careers. At the start of their first year in this new level of education they may not have matured quite enough to make all the right decisions. Many times when the youth or young adults are trying to decide on which School to attend, they will base their decision on which one the majority of their friends will be attending. As they progress through the high school years they reach a new level of maturity which now changes their attitude towards their education. They now start thinking about the caliber and choices of courses that are available to them. They begin to think more towards the future years such as their College and University plans. 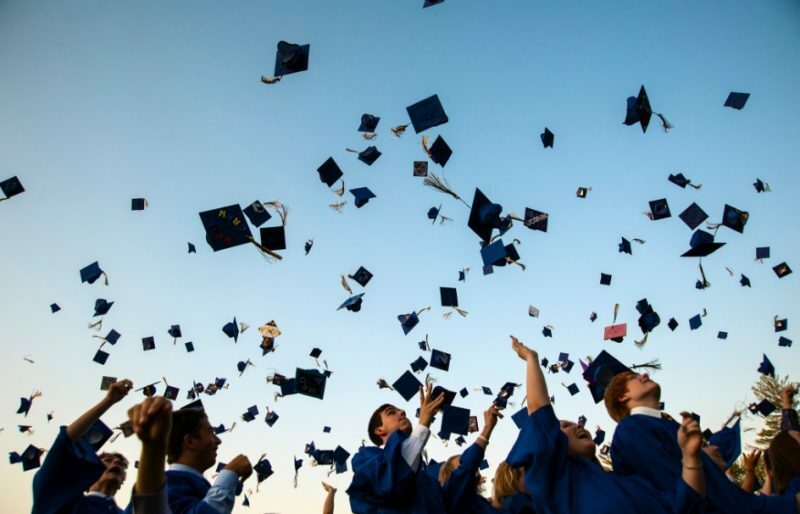 Students now begin to realize that their choice of High School is important to them as this is what prepares them for this next level of education. As parents, you have the task of helping the kids with their initial choice of high school. You want to be sure that the one chosen is going to teach them how to handle responsibilities. These are responsibilities on all levels including their social and entertainment activities that they will have to take part in as young adults. They need to be prepared to make the right decisions when they become of age to drink or begin to enjoy casino entertainment like that which can be enjoyed through venues such as casinobonus365.co.uk, which young adults can easily access online. When they are taught the proper way of indulging in these types of activities they will be able to enjoy what these events have to offer without being reckless or careless in their actions and their decisions. Choosing the right high school may be one of the most important tasks for young adults finishing their elementary education. As such, there is a lot that they much consider when making this choice. It is a big decision for so many young people. One of the things that they really need to take a look at is what policies the school has in place. The School policy should outline what academic choices are going to be available to the young students. 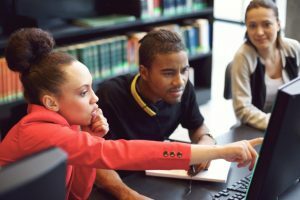 They have to not only be current, but diversified and collaborate nicely with the transition requirements that will surface when the high school years end. Every school region has a budget that they must adhere to. Students want to attend high schools that have a solid financial foundation. This is because these particular schools can afford to offer extra-curricular school activities and enrichment programs. These are something that most students find to be most valuable to not only their learning but building their socializing strengths. The progressive high school has to have a clearly outlined policy regarding the responsibilities of the studies and also the staff. Students should be made aware of these and both parties must be held accountable to abide by them. This provides good stability in the school environment for students. It allows them to be able to focus on their education rather than having to deal with school environment issues. The High School that brings great success for their attendees are those that have a very clear policy in place as to what the mandate of teaching and learning consists of. Students have to be prepared for the future. Some students will enter into the workforce directly from high school. Others will go onto continuing their education through College and University. The School has to be able to prepare students for either one of these paths. There are many different milestones that both parents and children experience throughout a child’s time in school. Of course there is that memorable first day of school. Then perhaps the next most significant event is when they graduate from grade school and enter into High School. This is a big transition for both the parents and children. The posts that are contained here are meant to provide some valuable insight as to some of the issues that arise when the young people are entering High School. Some of the content talks about the policies that every High School has in place. These are important as they provide the guidelines for the schools to follow. It is also important for both parents and students to be aware of these to see if they agree with them. There is talk here about why it is so important to choose the right High School. This is the educational time period that really sets the ground work for the student’s future. There is also some information to be found here for students who don’t want to go beyond the High School years that perhaps have a desire to enter into the gaming industry or other types of employment that doesn’t have a University demand. You will also see other important information here to act as a resource on topics such as bullying and ways to deal with it. The goal of the information here is to inform the interested reader about making the transition into the High School setting.